These coconut date balls are a naturally sweet paleo and vegan treat or snack with only three simple ingredients. The outside has a textured coconut feel with a soft, sweet and almost creamy inside. These coconut date balls are a naturally sweet paleo and vegan treat or snack with only three simple ingredients. The outside has a textured coconut feel with a soft and almost creamy inside. 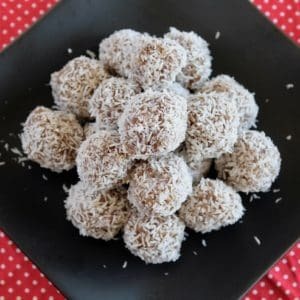 Have you ever seen or bought these coconut date balls at the grocery store? I’ve bought them a few times because I love that they only have 3 ingredients, but they are so expensive! They’re a nice healthy sweet treat to have around the house, which is why I decided to make my own. They are so easy to make and can last a while in the fridge. These taste delicious but only have healthy natural ingredients in them. 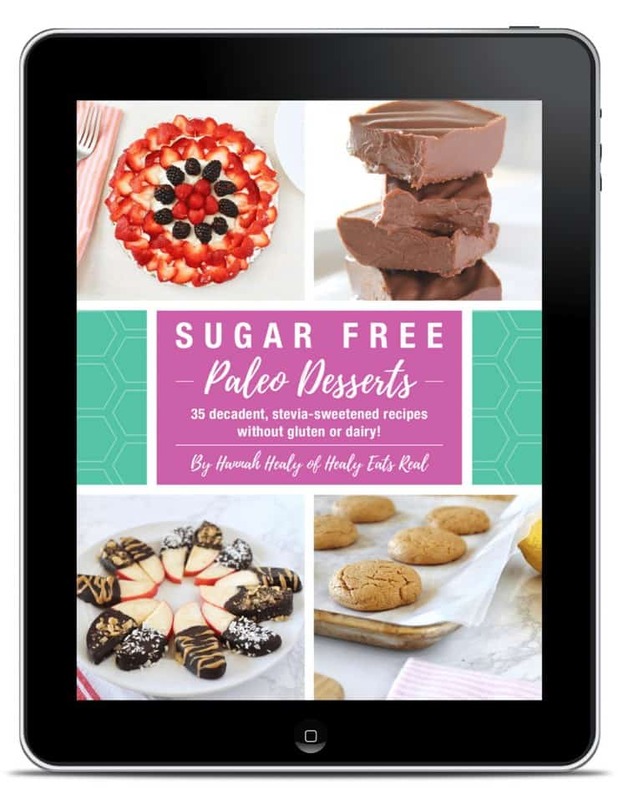 These make a great treat if you are on the autoimmune paleo protocol! They are also paleo and vegan with no added sugar. 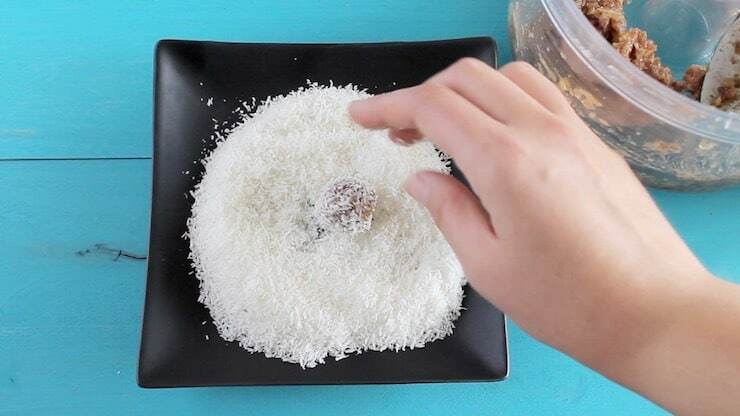 These coconut date balls are a simple treat that only require 3 easy ingredients! No baking, heating or oven required! These little treats store well in the refrigerator and can last quite a while. You can give these away as gifts. Stick them in a jar and tie a bow around it for a lovely healthy present along with some homemade sugar scrub or bath salts! You will need a food processor for this recipe to successfully purify the dates. A regular blender will not work. In some cases a vitamix may work, but I’ve had the most success with a food processor like this one. There are a few different types of dates like deglet noor or medjool. Any type of date will work, but they must be dried dates which are generally the only type available in store anyway. But if you get fresh dates off the tree, it won’t work for this recipe. Make sure that you do not put in too much water to soak the dates. I specify 3 tbsp of water because if you put too much water the paste will be too wet and you wont be able to form it into balls. You just need barely enough water to soften the dates to make them sticky and able to be processed into a paste. The amount of shredded coconut that you will need may vary depending on how small or large you make the balls. 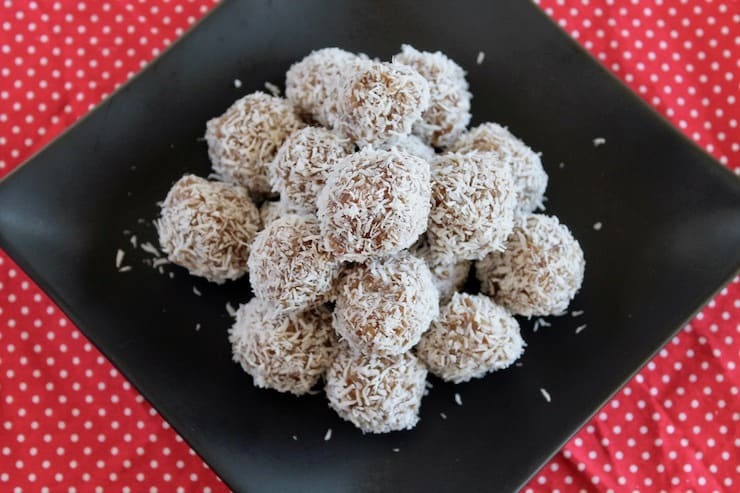 It’s best to store these coconut date balls in the refrigerator. They don’t usually stick around for long in my house without getting eaten up, but I would imagine they will last at least a week or two if not more in the refrigerator. I’m sure they would freeze well too in an airtight bag. Boil water and add 3 tablespoons to a shallow bowl with the pitted dates inside. Let the dates soak for about 10 minutes. 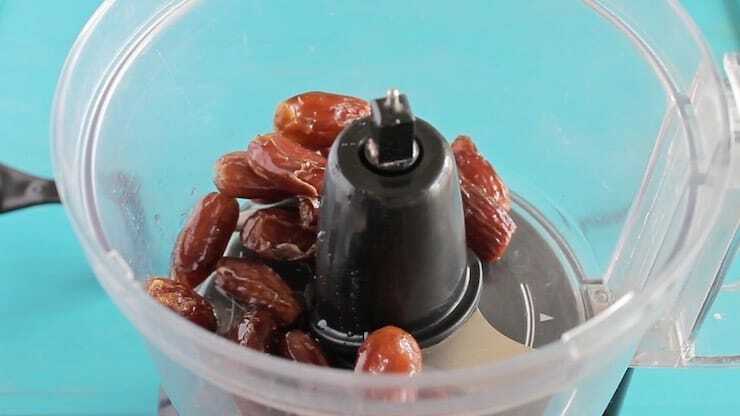 Pour the dates along with the water into a food processor. Run the food processor until the dates are finely chopped and almost resemble a paste. 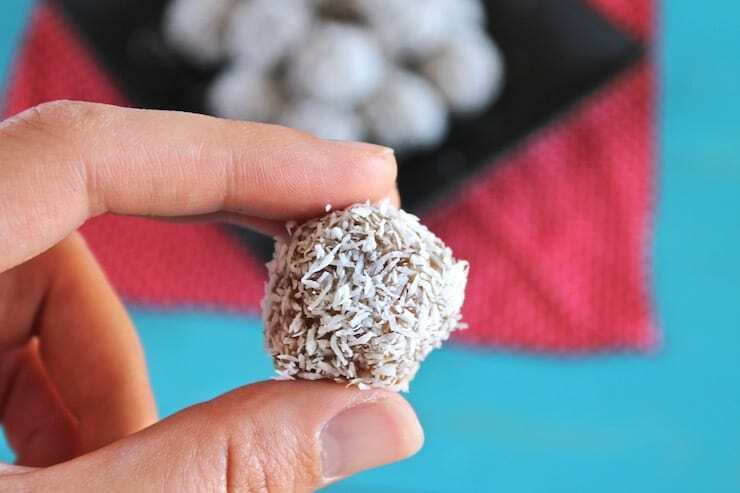 For the date paste into small balls and roll them on a plate of shredded coconut until it’s coated. Repeat until all of the date mixture is gone. Place all the the coconut date rolls in the refrigerator for about an hour or until they have hardened. 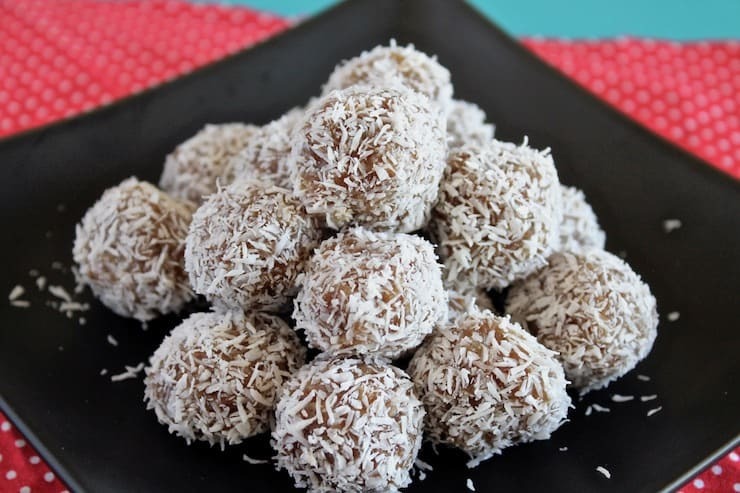 Did you like Easy No Bake Coconut Date Balls (Paleo, Vegan & AIP)? Don’t forget to rate the recipe and leave me a comment below. You can also follow me on Facebook, Instagram, Pinterest! Boil water and add 3 tbsp to shallow dish with pitted dates inside. The dates shouldn't be totally submerged in water, just enough to soak up some water. Let dates soak for about 10 minutes. 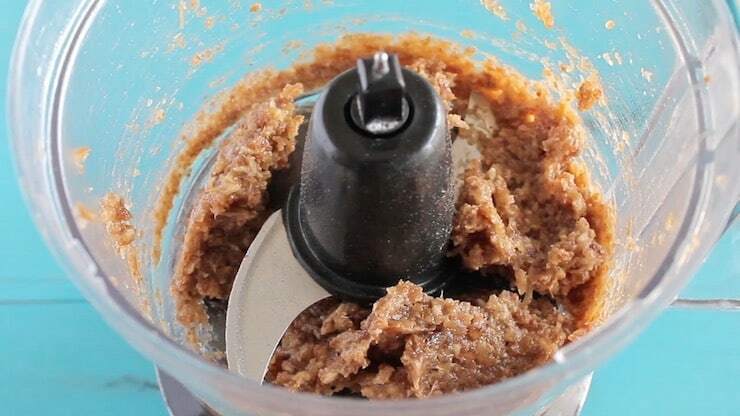 Empty the dates into a food processor and run until dates are fully chopped and almost become paste-like. 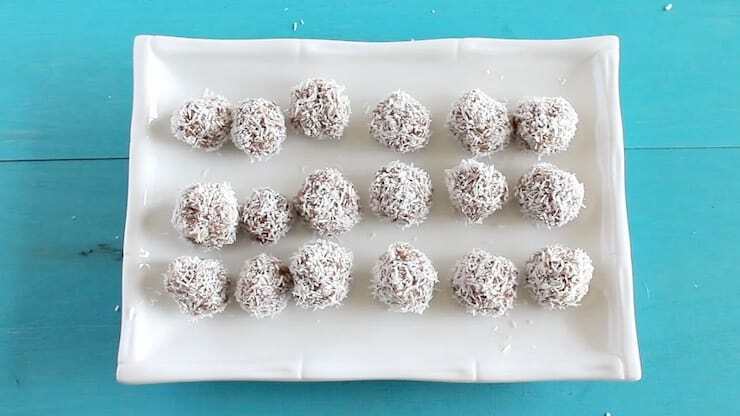 Form chopped dates into small balls and roll them in a plate of shredded coconut. 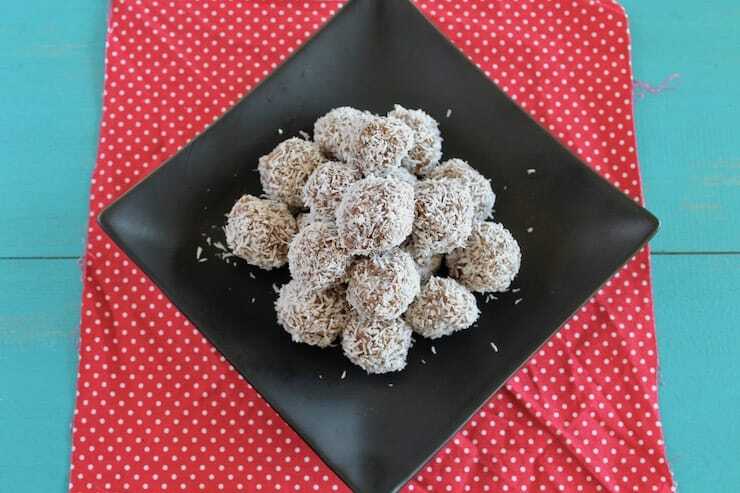 Place the coconut date balls in the fridge and let harden for about an hour. You will need a food processor for this recipe to successfully purify the dates. A regular blender will not work. In some cases a vitamix may work, but I've had the most success with a food processor like this one. There are a few different types of dates like deglet noor or medjool. Any type of date will work, but they must be dried dates which are generally the only type available in store anyway. But if you get fresh dates off the tree, it won't work for this recipe. It's best to store these coconut date balls in the refrigerator. They don't usually stick around for long in my house without getting eaten up, but I would imagine they will last at least a week or two if not more in the refrigerator. I'm sure they would freeze well too in an airtight bag. This recipe was originally posted in March of 2013 but has been republished in December of 2018 to include new and improved recipe tips, photos and a video. How do these date rolls fare at room temperature? I would love to take these on a road-trip I’m taking soon! I have a cooler, but I am thinking about when we run out of ice. They do great at room temperature! I’ve taken them on road trips to and they’ll last. They might get a bit softer, but they’re still good! How long can you keep them in the fridge? I just bought these at the store and loved them.. Can’t wait to try making them at home!! Thanks for the recipe! Not sure, but I’ve had them in the fridge for a few weeks and they were fine. These date balls are amazing! Hi, I’m not sure why, but I can’t get the pictures you posted of the rolls to appear. Maybe something to do with “cookies”? Anyway, are these the same as the natural delights coconut date rolls? I just made them and stuck them in the fridge, but I’m wondering how to get the texture the same. When I buy them in the store, I also don’t refrigerate them so is this necessary. There are also only two ingredients in the store bought ones. And one more question (sorry???? ), but I was thinking of making them at thanksgiving, have you ever tried freezing and defrosting them? So I can prepare ahead of time? 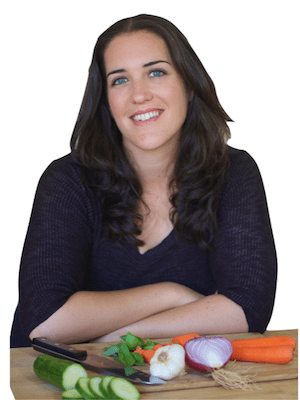 Thank you for your answers and your recipes!! I think you could freeze them and defrost. Haven’t tried it yet, but don’t see why it wouldn’t work. Enjoy! Nice dish, thanks for sharing with us the details of healthy dish.